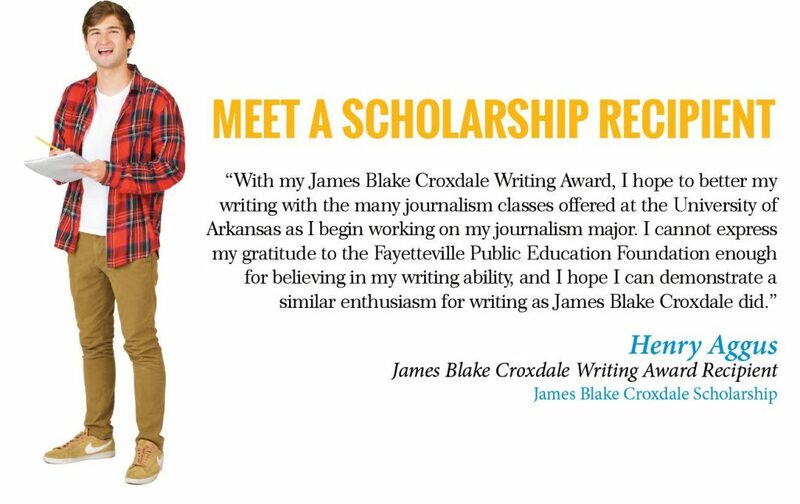 Fayetteville Public Education Foundation’s endowment provides scholarships for deserving Fayetteville High School seniors to attend college and advance their careers. Endowment funds are never spent. Instead, they’re invested and the earnings support the scholarships each year. That means each Fund in our endowment provides permanent financial support. Scholarship Funds can be directed toward students attending a particular school, studying a particular subject or field, need or merit, and named in honor or memory of an individual or group. Donors of our Scholarship Funds are given the opportunity to meet their recipients at the annual Celebration of Excellence, an annual event bringing educators, donors, and guests together to celebrate public education in Fayetteville.